If you didn’t already know I am a Kent girl at heart even though I am currently based in Hertfordshire. 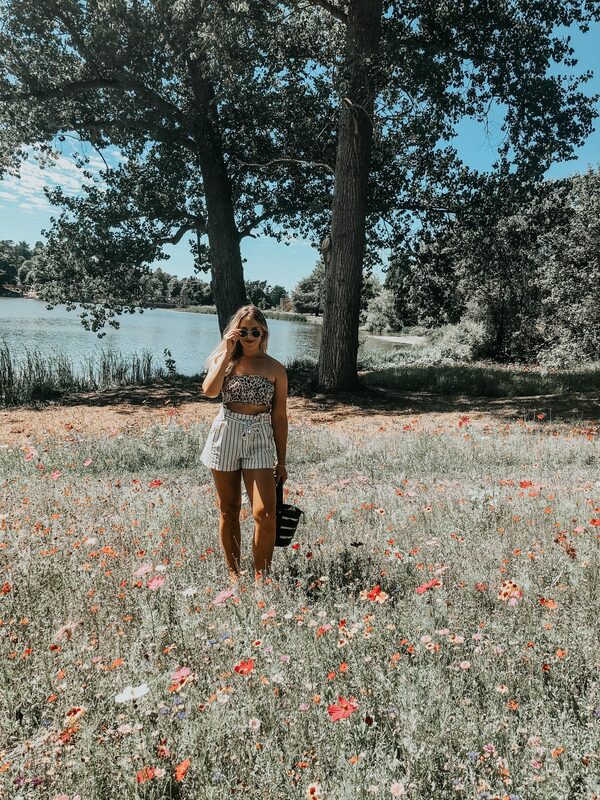 Kent is honestly such a beautiful County with gorgeous picturesque settings and lots of fun things to do, including some historical beauties like good old Hever Castle! If you follow me on Instagram, you may have seen recently my beaut Mum and Step Dad got married there and it honestly was the most stunning day all made better because of the venue! 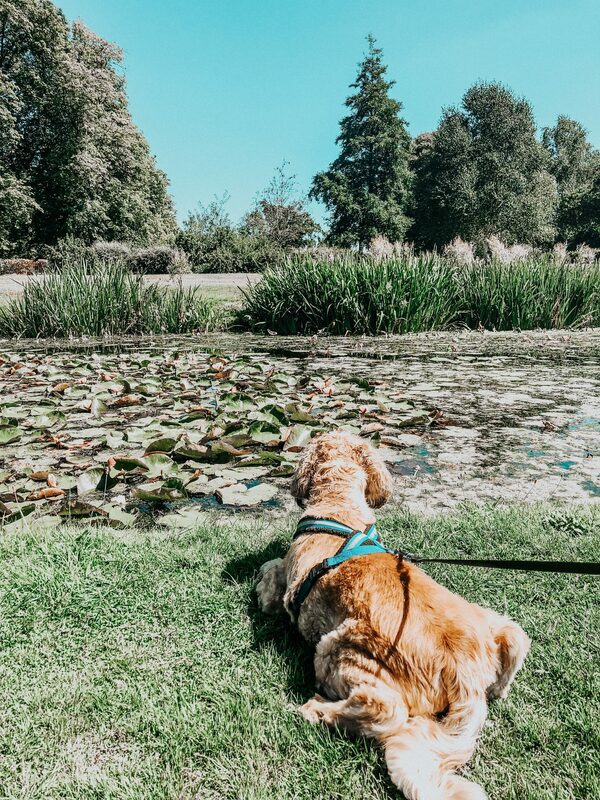 We love it so much so, we visited there this weekend to enjoy what the castle and gardens has to offer and also there was a dog show on so obviously Benny had to come along! So if haven’t heard of Hever Castle, basically it is a very famous historical castle because it was the childhood home of Anne Boleyn (Henry VIII 2nd wife). It dates back to the 13th Century and Anne Boleyn lived there and grew up there with her family and when Henry came round to stay, he had his very own bedroom with obviously a king sized bed (fit for a king). The castle itself, isn’t actually HUGE, but it does has many room including the breathtaking Inner Hall, The Dining Hall, The Library, the Queen’s Chamber and many more. 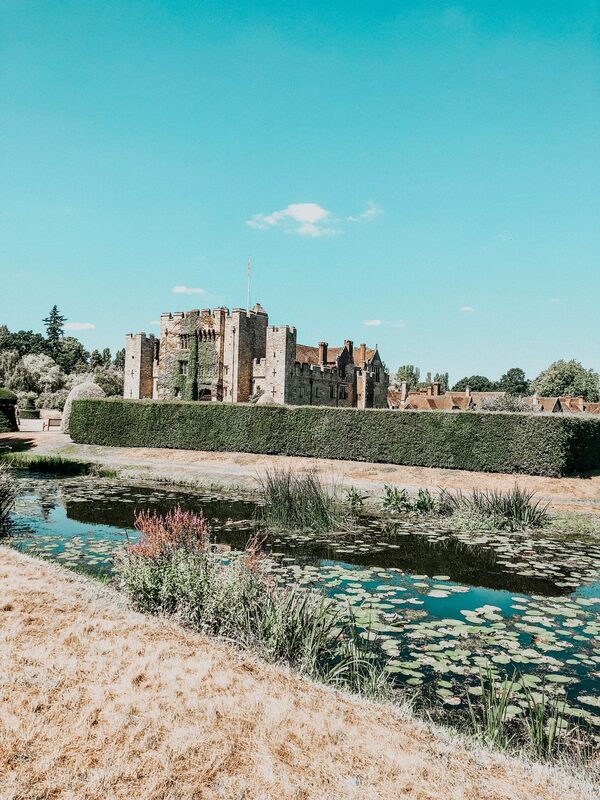 If you visit the Hever Castle, you can get tickets to look round the castle itself which has been made into an exhibition, and there are lots of interesting historical facts to learn about! And as you can see, it’s absolutely stunning! Not only can you visit the castle itself but you get to walk around the gorgeous gardens and go boating on the man made lake. There are also lots of other fun things to do, like challenging yourself to make your way through the hedge maze, and there’s ever a water maze which is great for the kids! So as I mentioned, we visited at the weekend because it was the weekend of the dog show, which happens every year at Hever Castle over Saturday and Sunday, and this year the weather definitely came through! In fast, I would go so far in saying that it may have been a little too hot. Jordan realised he done this and pulled him out by his harness and his head was covered in green gunk! Honestly was the funniest thing – I guess that cooled him down! The dog show was really good, there was a main area where they had lots of events throughout the day, and there were also a few stands where you could look around talk to people. Obviously there were lots of dogs, puppies as well, and for Benny it was perfect. We just loved wandering around taking in the beautiful views, and Jordan and Rob even had a go at Archery! Surprisingly, they were both very good and managed to hit the targets spot on! As we were walking around the lake, we came across this gorgeous wild flower patch and obviously Benny had to explore and smell the flowers himself before taking a dip (without falling into algae) in the lake! Safe to say we were all knackered after yesterday. We went back to my mums for a BBQ and then drove home to Herts early evening, and the dog was KO’d. It was such a lovely day, and would highly recommend visiting Hever Castle for a fun day out! Hever castle is gorgeous I think I went there last when I was a child. I’m so close to Hever castle I really need to go soon. This post has inspired me to do more day trips out to these types of castles such historic background and just beautiful.